Foraging, Herbology, and Mangoes, it must be Spring! On Tour and On TV! Healthy Restaurant - Food Poisoning Symptoms? Always Tired - Why am I Always Feeling So Tired? Chemical Sensitivity - How to Treat my Chemical Sensitivities? Eat Right For Your Type? Nothing More Than Hype! Are You Concerned About Cancer? What is the Intentional Community of River Haven? Garlic Health: Is Garlic a Villain or Benefactor? New, Expansive EM Pollution Seminar! 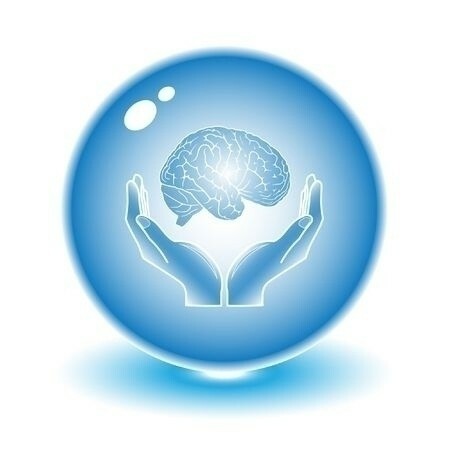 Holistic Science: Effective or Placebo Effect? What is Eco-Raw Living? How is it "beyond raw food diet"? 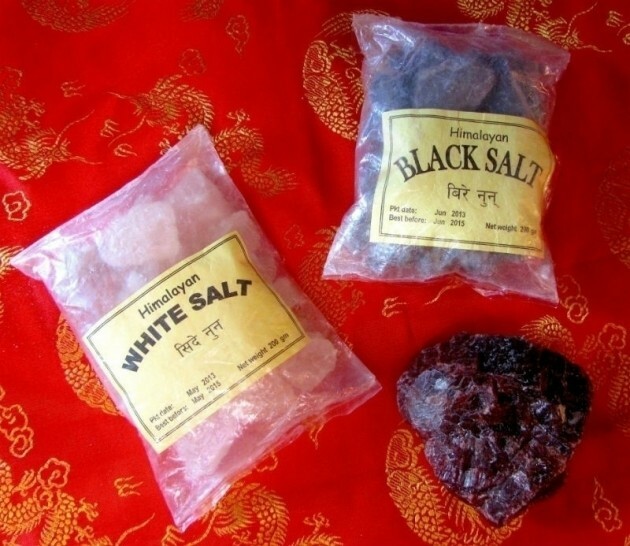 Order Your Himalayan Sulfur-Rich Black Salt Today! Should We Cook Our Food? Magda Havas is Associate Professor of Environmental & Resource Studies at Trent University where she teaches and does research on the biological effects of environmental contaminants. Dr. Havas received her Ph.D. from the University of Toronto, completed Post-Doctoral research at Cornell University, and taught at the University of Toronto before going to Trent University. Question: I have been told by my doctor that it’s “normal” for me to be always tired, because of my age (63). Is that true? This newsletter will surprise you with in-depth articles about an unforgettable Nepal and Sri Lanka extravaganza, and about Functional Medicine. Also, get up-to-date news about recent and upcoming events and activities at Ecopolitan Communities around the world! The trip to Nepal exceeded my initial expectations! The outer journey was filled with amazing sights from the living temples in Katmandu to the snow covered peaks of the Himalayan ranges and smiling faces of the school children we visited. What are the nutritional strategies in treatment of cancer? Here is your guide to enhancing the immune / antioxidant status, enzyme therapy, chemotherapy and / or radiation therapy support and suggested nutritional supplementation. Question: I have been sensitive to various chemicals and perfumes lately, while my friends don’t seem to be bothered. Why? Chronic, persistent or relapsing debilitating fatigue or easily fatigued, that does not resolve with bed rest and that is severe enough to reduce or impair average daily activity below 50% of premorbid activity level. Associated symptoms: mild fever, sore throat, painful lymph nodes, muscle weakness, myalgia headaches, arthralgia, neuro- psychological complaints, sleep disturbances. Question: What is the deal with coconut oil? I hear that it is "wonder oil." How is that possible considering that is among the oils highest in saturated fat? Question: My Mother died of Colon Cancer and I have to have a Colonoscopy done every couple of years. I sure would love not to have to go through Colonoscopy procedure if there is another way to check for Colon Cancer. The common cold is an upper respiratory infection caused by a virus. In the United States, adults have between 3 and 6 colds a year, and children have as many as 8 to 10. Some common sources of radio waves radiation are: Outdoors Broadcast antennas (fixed); Broadcast antennas (mobile); Radar stations (fixed); Radar devices (mobile); Television cables; Satellites; Satellite receiving dishes; Satellite sending dishes; Cell phones, pagers, two-way radios. To schedule a consultation with Dr. Adiel Tel-Oren (Dr. T), please email: clinic@ecopolitan.com or call: 612-326-6839. ​Defining and measuring the harmful electrical pollution is analogous to defining and measuring harmful drinking water. The problem is not the water; it is not (in general) the 60 Hz electric power we all enjoy in our homes and offices; it is what comes with the water, and what comes with the 60 Hz power! The pollution is the problem! Depression is a major problem in the United States. Nearly 15 million Americans will suffer true clinical depression each year. Depression is also a big business for drug companies, especially for the maker of Prozac-Eli Lilly and Company. The good news is that there are natural measures to deal with depression that are both safer and more effective. Question: I have a biofeedback client with a huge prostate gland who is told he needs to go through a biopsy. He is scared to death. I told him about the AMAS test to detect early cancer without surgery. Is there anything else he should do? He is on medication for the enlarged prostate. Acute otitis media is a viral or bacterial infection of the middle ear, usually secondary to a URI. It is most common in children six to 36 months old and then again at 4-7 years old. It is the most frequent diagnosis of children in a clinical setting, and it is estimated that about 2 billion dollars spent each year for conventional medical and surgical treatment of the condition. Ecopolitan's Eco-Healing activities allow you to treat common health conditions with clinical nutrition, eco-diet & lifestyle. Here's our monthly newsletter from Ecopolitan —giving you the latest and greatest information and news on Dr. T’s lecture schedule, Ecopolitan events and news, and health tips. Our monthly newsletters are back! Here, you’ll receive information on Dr. T’s lecture schedule, Ecopolitan events and news, and health tips. Our goal with the monthly updates is to help you live your best eco-raw life - an educated lifestyle that harmonizes health sciences, nutrition, ecology, and community to promote a sustainable future on Earth! Ecopolitan's monthly newsletter is back —giving you the latest and greatest information and news on Dr. T’s lecture schedule, Ecopolitan events and news, and health tips. Ecopolitan's Clinic allows you to find the ultimate treatment for common health challenges by using nutritional and functional medicine, cutting-edge lab tests and scientifically targeted supplementation. Ecopolitan space donated for non-profit meetings, lectures, task groups, committees, health activities, at the Ecopolitan Building. The following article was sent to our newsletter subscriber at January, 2005. Visit our new EMF Pollution Remediation website for updated articles, solutions, and certification courses. Question: Is there a cancer risk with EMF? I am back from an arduous lecture-and-patients tour of Israel and Italy! After seeing nutritional and skin-lesion patients in the Tel Aviv area, I traveled a bit north to lecture at an environmental health conference, focusing on the connection between our genetics and susceptibility to illness as a result of environmental, nutritional, hormonal, and emotional influences. "Everything in Moderation" - Is this a good nutritional habit? What common food ingredients are truly safe to eat "in moderation"? What are the side effects? And when can we really allow ourselves to eat in moderation? The following sites contain further information, regarding EMF. The links are provided as-is, with no responsibility of the correctness of the information or the effectiveness of the products. Many of my patients and audience members at lectures have asked me the above-titled question using different verbiages on different occasions. Why ask about garlic, the food we love to spice our meals with so often, despite the attendant aroma? Question: What are the general symptoms of radio wave sickness? Question: Hi - do you have a gluten free menu? can you tell me a few items that are on it? Ecological Solutions for Metropolitan Living.